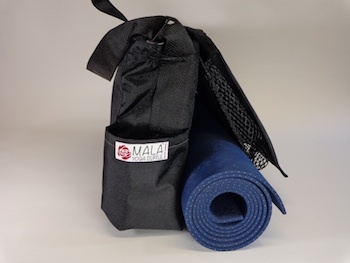 The Mala Yoga Duffle ® is designed specifically with the yoga practitioner, from beginner to advanced, student to teacher in mind. After interviewing students, teachers and studio owners, we built in the features you asked for, and built out anything you didn’t like. 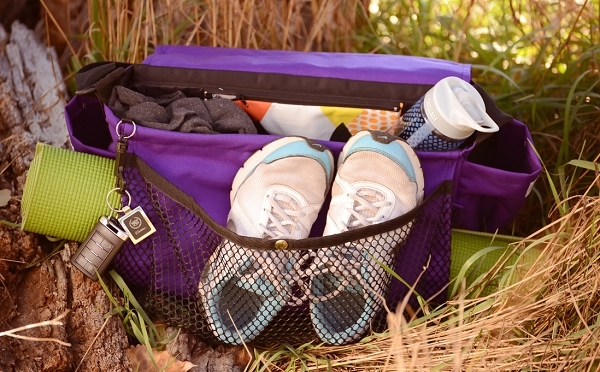 Our bag organizes and carries everything you need in one beautiful and durable bag. The exclusive patent pending mat flap storage holds any size mat, and is easily stored with two clips - no more stuffing your mat into a small confined space! Our bag stands up with or without the mat in place. The beautiful embroidered front flap is also a pocket for cell phones, power bars or a sweater. Under the main flap is a full size wet pocket for towels or clothes after class. 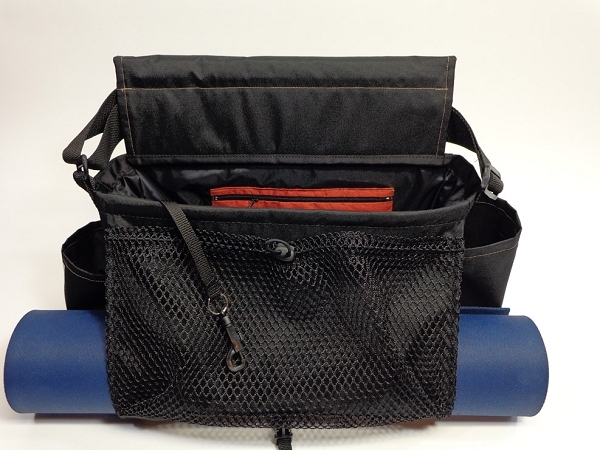 The large main pocket holds clothing, yoga blocks and other necessities. It also includes a key snap on a lanyard so you don’t lose keys, and a zippered wallet pocket for your wallet or ID. Outside pockets on each end work great for water bottles or mat cleaner. The 2” shoulder strap fully encircles the bag that along with internal support provides strength and stability. All the pockets are accessible at all times. Strong, lightweight and well built, it’s truly unique. 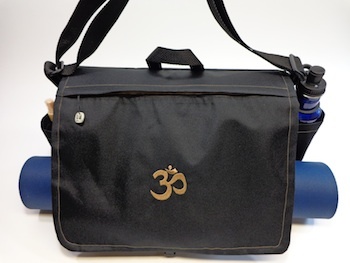 Our Mala Yoga Duffle is the easy way to carry any size mat, all accessories and necessities in one attractive comfortable bag. Beautifully designed, organized and quality construction is our hallmark.